Image (derived) courtesy of Flickr user .RGB..
How can you tell if your Android smartphone or tablet been pwned? That was the question recently posed by one InformationWeek reader, who suspected that her phone had been compromised by attackers. “I’ve only owned my Droid phone for two months and had a Trojan horse panic attack, and wiped my phone,” she said via email. 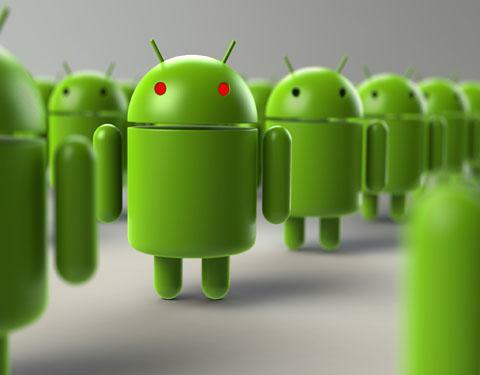 Can you tell by observation alone if your Android device has been infected with malware? On Windows PCs, for example, some types of infections leave no signs at all. Conversely, some virus, malware, and Trojan infections — as well as adware and spyware — may slow systems to a crawl, begin redirecting browsers to arbitrary websites or search engines, trigger pop-up ads, block access to information security websites, disable security software, alter the user interface, or email everyone in your address book, leading to a flurry of outraged emails, bounce-backs, and warnings from recipients. As with some Windows infections, some types of Android malware might sport telltale signs of infection. For example, the reader — who asked not to be named — said she became concerned when a text message preview appeared on her lock screen, then mysteriously disappeared and couldn’t be found. Perhaps not coincidentally, she’d also recently installed an app — but not from the official Google Play store.